An agreement to provide the Department of Agriculture, Environment, The Agri-Food Biosciences Institute and the Loughs Agency with marine mapping has been won by OceanWise. The award reinforces OceanWise as the primary supplier of marine mapping to both the public and private sectors in the UK. The agreement includes Marine Themes, Marine Themes DEM and Raster Charts XL (eXcluding Land) provided in the form of datasets and as OGC compliant web services. 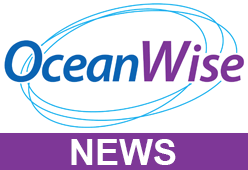 The agreement means that OceanWise is able to push ahead with further product enhancements, such as greater land-sea integration in collaboration with the UK’s land mapping agencies and provide more of its data products as web services. Contact us for more information about how you can licence our marine mapping data.